They say that the best things in life are free. While the old adage may apply to a lot of things in life, some stuff do carry a price tag. Luckily for Ben, an upcoming independent interior designer who plans to sell home interior designing courses online, there are things that do not require shelling some money out. Ben is currently looking for free learning management systems which he could use as platform to sell his educational materials. And while he has read tons of reviews on free learning management softwares, he still seeks the best recommendation for this endeavor. Hello Ben! 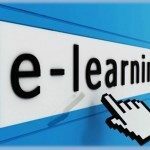 There are indeed free learning management systems that can deliver the goods if you are all about selling courses and other instructional content. I have listed 3 of the best and most popular free learning management platforms out there that should be able to help you with your business goals. Have a good read and I do hope you will make the most intelligent decision, which I am sure you will. The best in the business, Moodle is the top choice for companies that are more into the educational side of things. That said, Moodle is also used by big corporations such as Subaru and Cisco to implement e-Learning and training programs. With Moodle comes the most basic features that you can get from a learning management system. But there are optional functionalities that are available from third party developers that come at a cost. Basically with Moodle, you get a simple and clean user interface and features such as student dashboards, multimedia classes support, and progress tracking. And for those who want to make good money out of selling instructional materials and lessons, Moodle enables you to do just that and get paid via its PayPal application. Like Moodle, Sakai is built to cater to academic institutions that advocate e-Learning for their students and is not totally dedicated to be a corporate tool. But unlike most open source software which you can get for free, only certain parties and stakeholders are allowed to contribute and make changes to its source code. Sakai works well with a number of third party apps, including Dropbox and Google Docs. Sakai is backed by a multi-million dollar endowment, which allows for extensive improvement and maintenance should any major issue arise. Sakai has a very narrow clientele and does not enjoy a robust community support like Moodle does. Another popular option among the highly recommended free learning management systems is Schoology. Like Moodle and Sakai, this particular learning management software is aimed to serve educational purposes rather than provide aid for corporate training. Schoology is web based and the basic package is free. You can choose to upgrade to the Enterprise bundle, which comes with a load of premium features and specialized support. Among the best things offered by Schoology is its Google Drive integration, tools for making content, accessibility via mobile channels and devices. Schoology also provides users with access to its library of public courses, videos, audio files, and other content. Also worth looking at: ILIAS, eFront, Dokeos, and Latitude Learning.